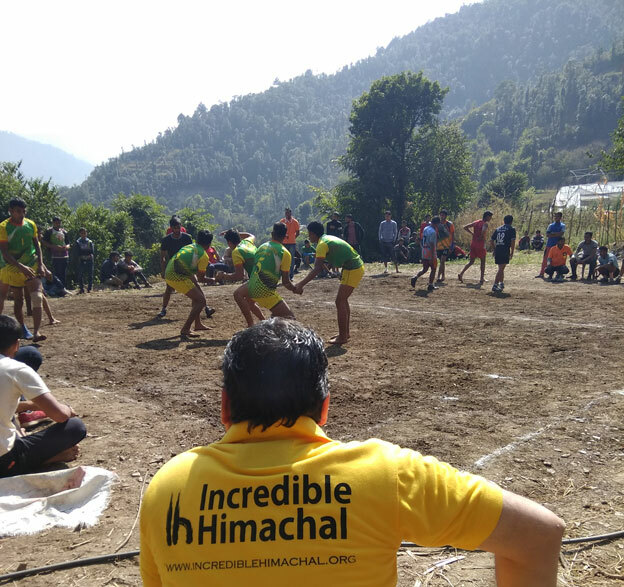 Incredible Himachal has been organized Kabbadi Tournament in Kanhecchi Village Near Shoghi Distt Shimla. 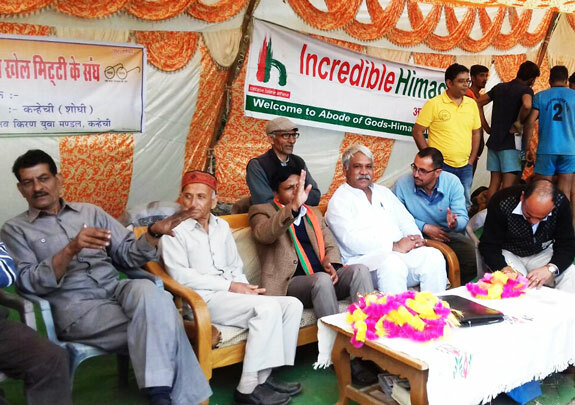 With the combined support of “The Navkiran Yuva Mandal Kanhecchi” and Incredible Himachal NGO, this Kabbadi tournament has been organized. Total 18 Kabbadi team has participated in this tournament which starts on 5th November. In the opening ceremony of this tournament, the Respected judges Mr. Tarsem Bharti and Indonesian cricket team members were present there to motivate the teams. This tournament was honored with respected Ravi Mehta and North Delhi association chairman Ramesh also participated. again.In the final match, Rohtak has won the match after beating the Bhagat Singh sports team Kalhog. In between this tournament the members of committee Pradeep Sharma (Pradhan), Vinod Sharma (Mukhya sanyojak Yuva Mandal) and all the audience be a part of this tournament and enjoyed a lot. Vinod Sharma also tells the media that our main motive to organize this tournament was to promote the game Kabbadi and develop playing skills of youth.we also believe in providing them the proper facility for high-level participation. The winning team won 15 thousand rupees with trophy and 1st runner-up got 8100 Rs, certification along with trophy. who played well in the entire tournament they also hounered with participation certificate prizes. The Team also got Kabbadi training in Hariyana sports ground.